We value our clients' experience at BoneVoyage Pet Resort. If your pet or animal is currently a friend of the facility, please feel free to leave us a positive review on our Facebook! *Made with My Talking Pet - Send us your talking pet video and we will post it! "Our dog loves going to BoneVoyage! We have been taking him here for a few months now when we go out of town. He spends between 2-5 days here at a time, and he is always excited to go. He gets to play with other big dogs during the day, so when we pick him up he’s ready to go home and sleep." "The BEST place to board and for doggy daycare EVER! They take amazing care of the dogs, the facility is SO clean and nice, and the staff is wonderful & accommodating. The play area is amazing (includes a shallow pool), and they give lots of human attention to the dogs. Our dog, Creel, is always SO happy & excited to go to BoneVoyage! It is so reassuring to know that our pet is well taken care of by amazing people & having a great time while we are gone." "Nellie gets so excited as we go over the causeway, because she knows we're going to either the beach, or the dog spa. She loves, loves, loves all the staff. She is usually a very quiet, well-behaved and reserved dog, timid and shy, but when she gets to Bone Voyage she can't stop wiggling, hopping, and giving kisses. On a couple of occasions, I've had to board her urgently, and the staff have always been helpful and accommodating." "They allow you to see and walk back through all the accommodations which is unfortunately not common among boarding facilities. The rooms are beautiful, clean and sunny. 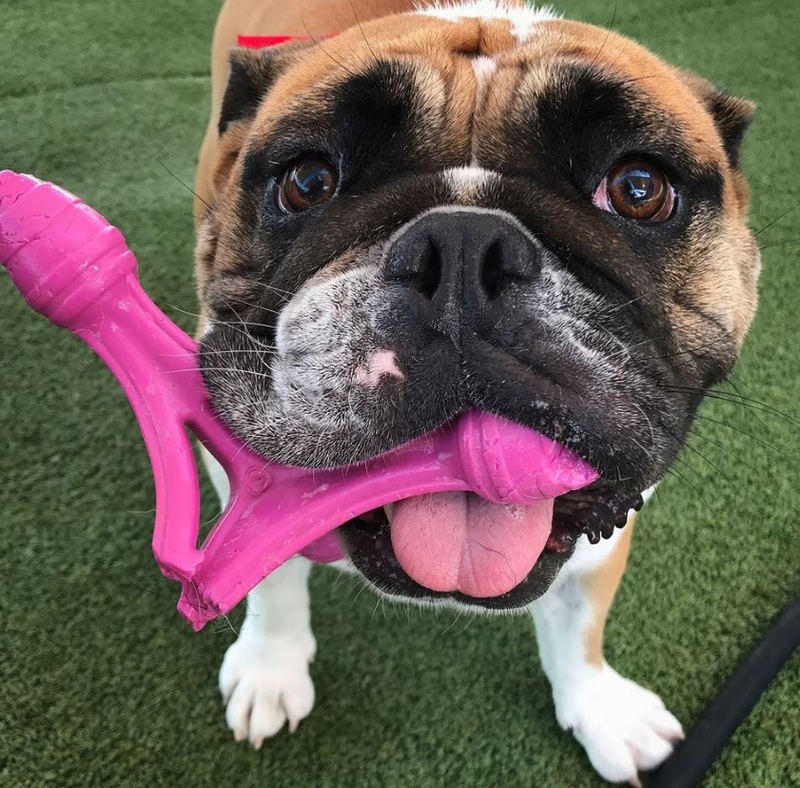 The luxury suites have little outdoor play yards where the dogs can go at will and a stay in these beautiful rooms earns your pooches a free exit bath! Wow! I was so impressed by the friendliness of the service and the attention to detail in the facilities and customer care. Will definitely stay again when we get back down to Galveston!" "Kyan spent his first daycare day yesterday and he did great. He's had a lot of anxiety issues about being left and this has been a wonderful option for us to not have to leave him home alone in his kennel. He made 4 new friends and had so much play while he was there, she we got home he put his head on his pillow and crashed for about 4 hours"
"My dog, Jemma, LOVES BoneVoyage. She goes for daycare and boarding (over long weekends). The facility is thoughtful in its design - the runs are good size and have the accommodations pups need (mats, loungers, doggie dog to outside, big windows to see what's going on). It is always clean. And the staff are the best! They are detail oriented, easy going, and happy folks! I couldn't be happier with our experiences there and highly recommend to anyone looking for day or longer care for their dog on Galveston Island."